Please wright in the comments if you ever have seen more beautiful and adorable booties for your little angels that these. Just look at the pictures and you will start searching for free time and necessary supplies to start knitting now. 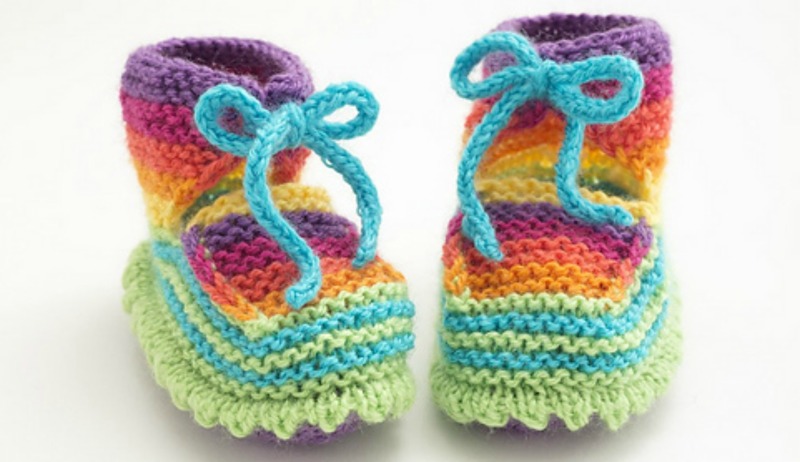 We think you must nor change the colors in one color, because this booties is perfect in rainbow colors. In free pattern everything is explained clearly. Make gift for you babies or friends babies and etc. Huge Thanks to author Irina Poludnenko for adorable design and free pattern that you an find on Lionbrand.com. Good luck and please enjoy.